Today, Nectar operates a fleet of modern mobile bagging machines worldwide, offering guaranteed discharge speeds and unrivalled levels of service. Nectar Group owns and operates a fleet of over 70 x Compac M140 bagging units around the world dedicated for bagging operations on the quayside or at client premises. Compac M140 is the world's most advanced mobile bagging system and is designed to be totally self-contained and with a design speed of 140 mts per hour. Although technically advanced, it is simple enough to be easily operated by labour with minimal training. Each Compac 140 unit contains 2 bagging lines with built-in scales, strictly certified in accordance with Dutch Weights and Measures (N.M.I), enabling us to guarantee accurately weighed bags and detailed records of delivered and received cargo quantities. 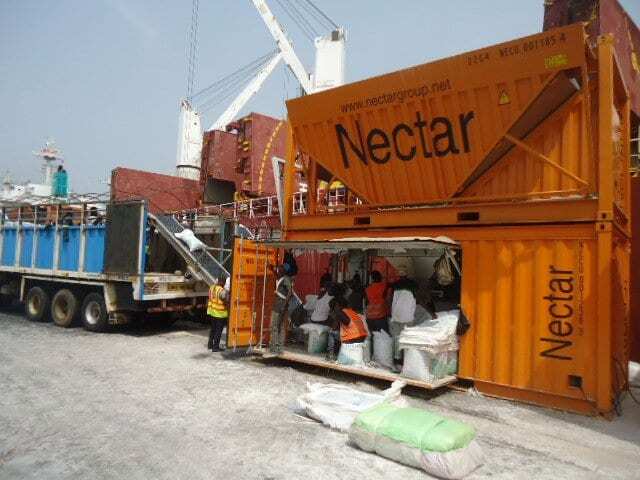 In developing the first ever Mobile Bagging System contained within 2 shipping containers, Nectar revolutionised the bulk commodity handling market allowing for products to be shipped in bulk and bagged at destination. Through guaranteed performance comes significant cost savings. 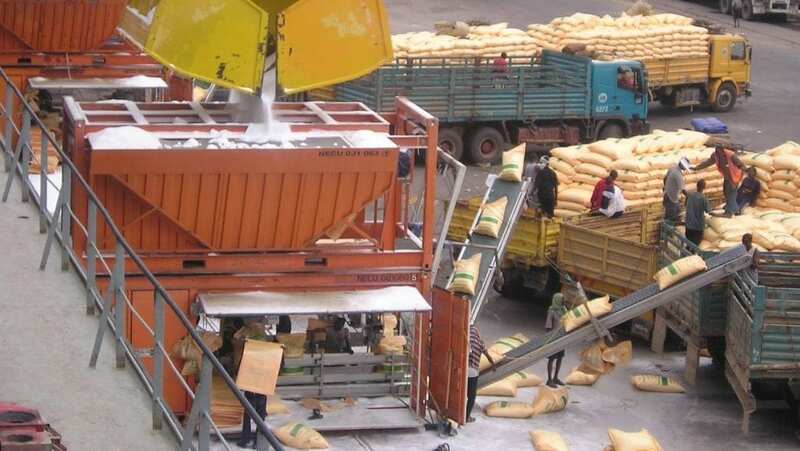 The equipment can bag free flowing bulk products at up to 140 tonnes per hour. The unique features of Compac M140 enable mobility and flexibility allowing operations in warehouses, on board barges and/or ships and at quayside locations. Nectar Group are able to offer tailored discharging, bagging and logistics solutions for your every need from full services including stevedoring, labour and onward transport with guaranteed discharge speeds to a more basic service of the provision of the bagging units at locations with a fully trained Nectar technician to ensure that the operation runs smoothly. Why choosing Nectar bagging services? World's most advanced mobile bagging system. The bagging unit is integrated in a single 20ft container. 140 metric tonnes per hour design capacity. Multiple units can be used on vessels depending on cargo stowage. Ideal for free-flowing cargoes including fertilisers, pulses, grains, rice, sugar etc. Bags can be weighted from 25kg to 90kg. Screening, blending and oiling activities can be integrated. Fully Self-sufficient. 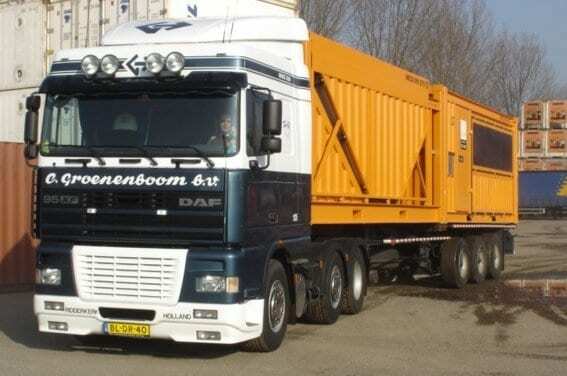 We provide bagging unit, container hopper, clamshell grabs and generators. Designed to work in extreme conditions. Tailor made bagging & logistic solutions. Guaranteed performance – our rates can include a speed guarantee in line with Charter Party terms. Ability to connect to pneumatic discharging equipment. All of our bagging services are fully managed to meet your exact requirements. We are so confident in our equipment, personnel and our high standards, that when using our managed services, we offer customers a performance guarantee securing daily output speeds and guaranteed accuracy on weights. Why choosing bagging at destination? Discover our full range of services based on years of experience.